In which G.M. Norton puts his head on the block to test out a new hair product. 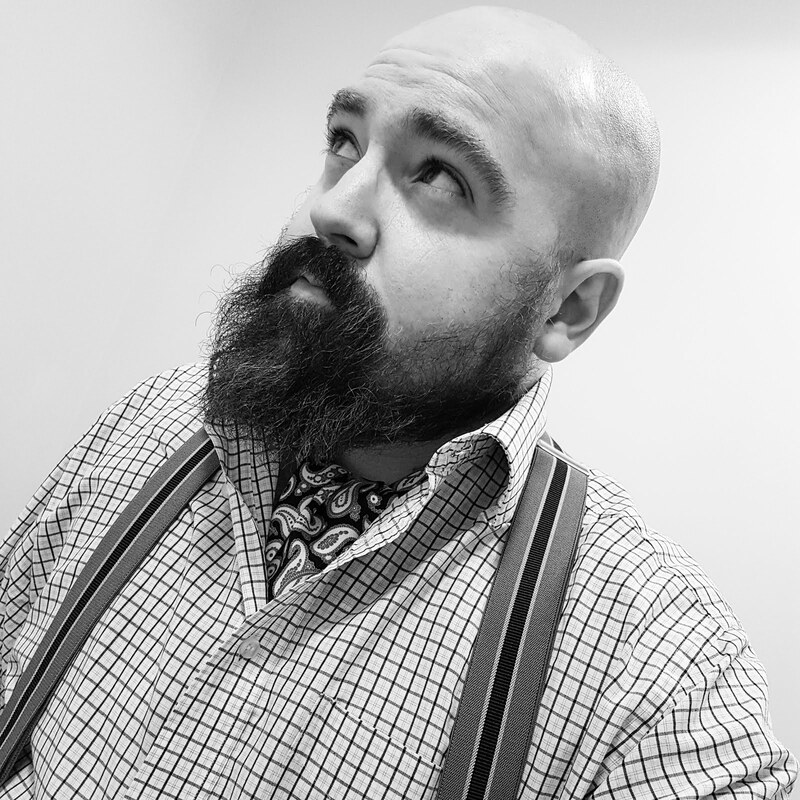 For the best part of ten months, the only hair dressing I’ve put on my head is the Legends London maximum hold hair gel. Alas, my supplies have gradually dwindled, to the point where the cupboard is now bare. Perhaps sensing my plight, The Bluebeards Revenge contacted me to see if I was interested in trying out their new pomade. You may recall I previously reviewed one of their shaving sets. The Legends London gel washes out super easily and having previously been a wearer of oil-based pomades, I’ve grown rather fond of stepping out of the bath and having soft locks. Oil-based pomades are reminiscent of an overbearing aunt who claims to be visiting for just the day but a week later and they are still there. 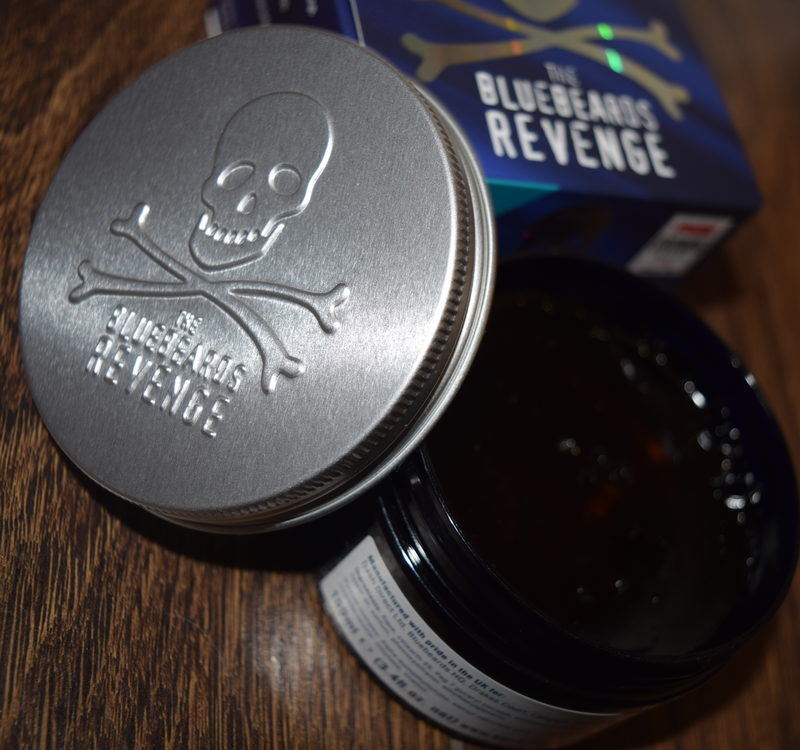 Thankfully, The Bluebeards Revenge Pomade is water-based. Now I can spend an indulgent couples of minutes running my hands through my silky soft hair and pretending I’m in a hair advertisement. I’ve used it every day now for the past fortnight and it certainly does the job. It has a faint masculine aroma and only the smallest amount is needed. As the instructions on the box rather eloquently explains, ‘No man-sized dollop is necessary’. I quite agree. It’s funny how little things can annoy you, isn’t it? Jimmy Cranky proves this theory. Upon applying the Legends London, or other pomades such as Layrite and Sweet Georgia Brown, my hands were always left sticky (ooh er). Not so with The Bluebeards Revenge so bravo chaps! The pomade also produces a rather pleasing shine to the hair. A 100ml tub costs £9.99 which is slightly smaller than Sweet Georgia Brown and Murrays. A little goes a long way though. My tub is still going strong after two weeks of use so I’ll be interested to see just how long it lasts for. My beloved also approves, commenting positively on the aroma and the look and feel of my hair when wearing the pomade. On that basis, The Bluebeards Revenge deserves top marks.